H.13786 - This British West Indies Style masterpiece home boasts the largest water frontage in the exclusive enclave of Caxambas Island. 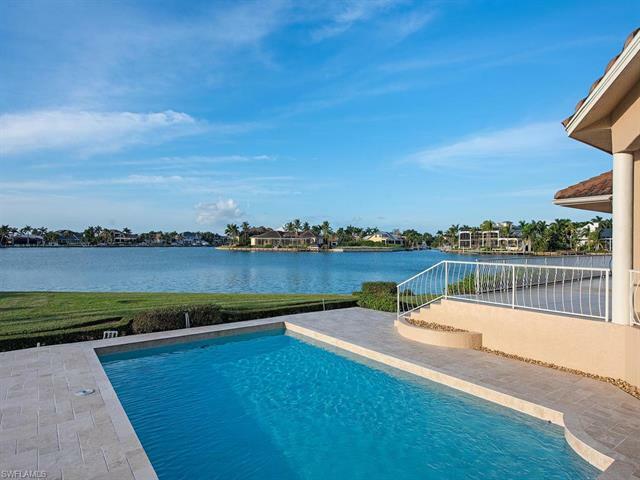 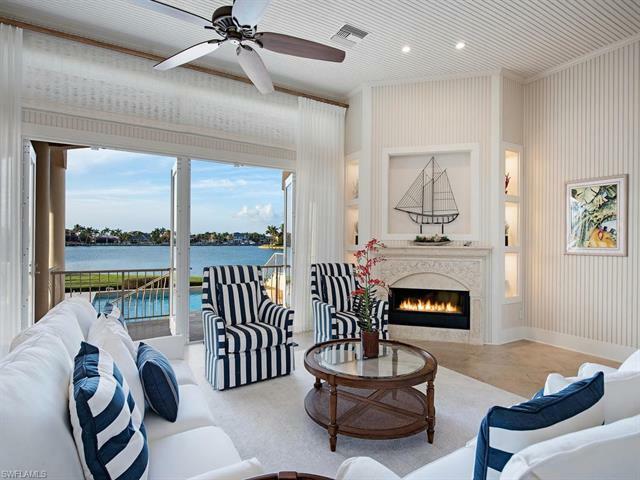 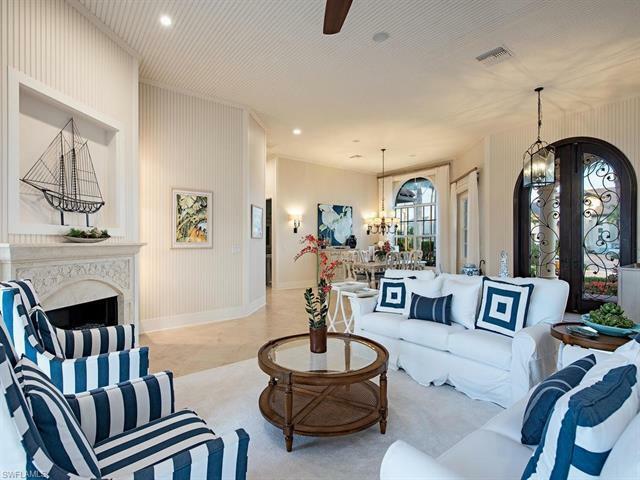 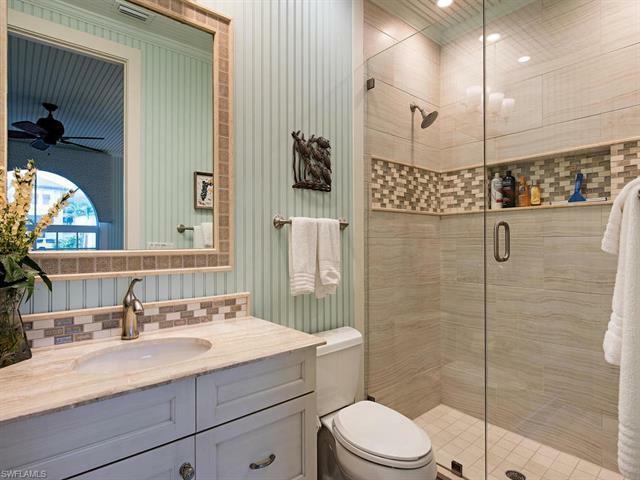 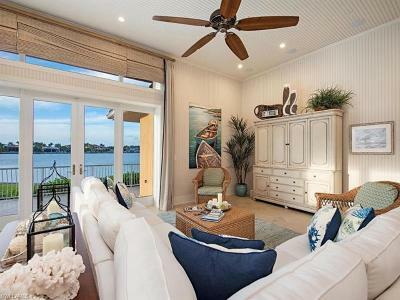 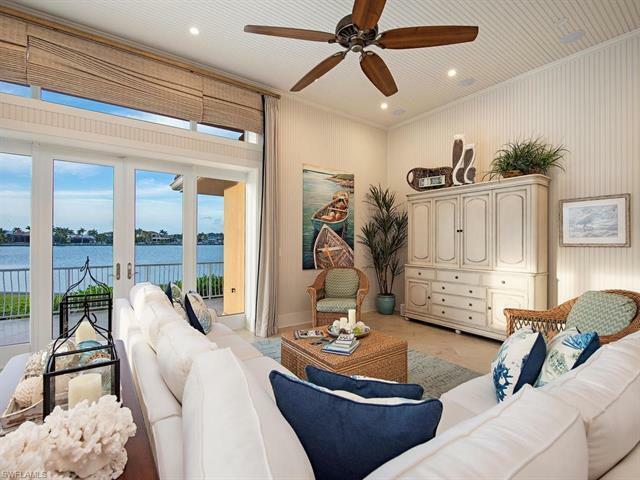 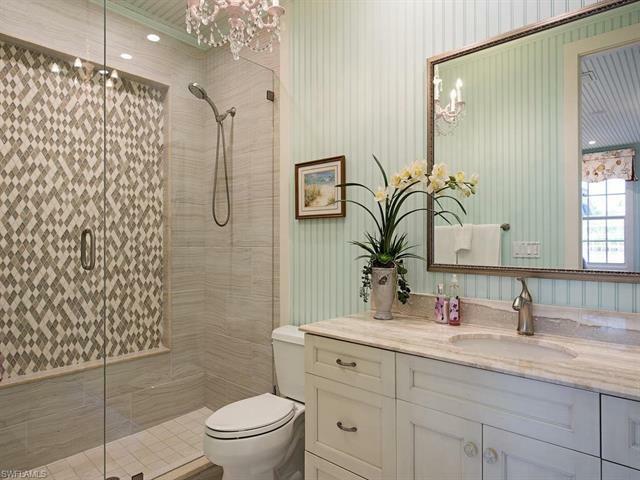 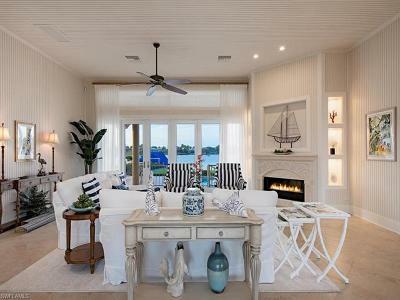 Casual, elegant home boasts spectacular bay views, sunsets over the bay, quick direct access to the Gulf of Mexico, and palatial outdoor entertaining areas. 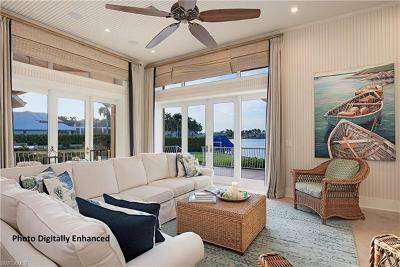 Upon entry you are captivated by the open and expansive views and entranced by the coastal decorating in the living room & dining room which features electric shades for privacy, the light and bright decorating, and gas fireplace. 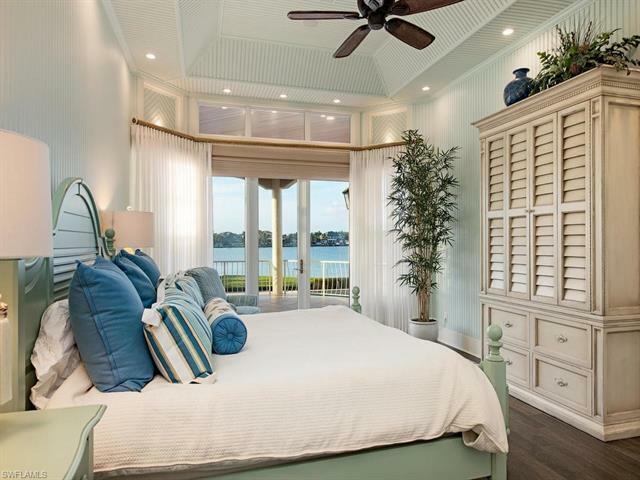 The master bedroom has distinctive bead-board accent in the tray ceiling, porcelain wood flooring featuring, stunning bay views. 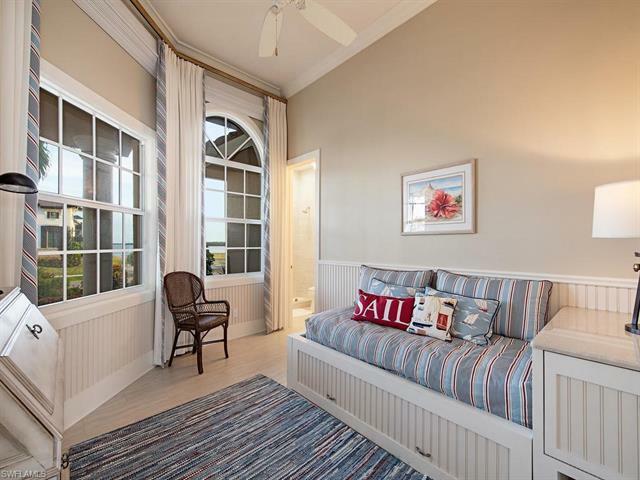 The three guest bedrooms and den (decorated as fourth bedroom) all offer an en-suite experience & elegant, coastal decorating for your guests. 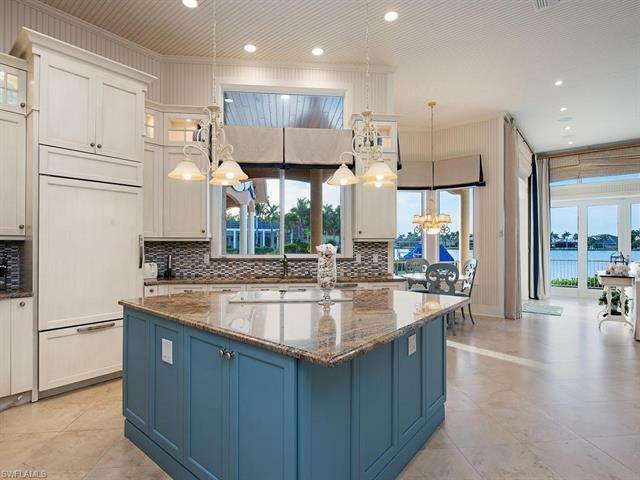 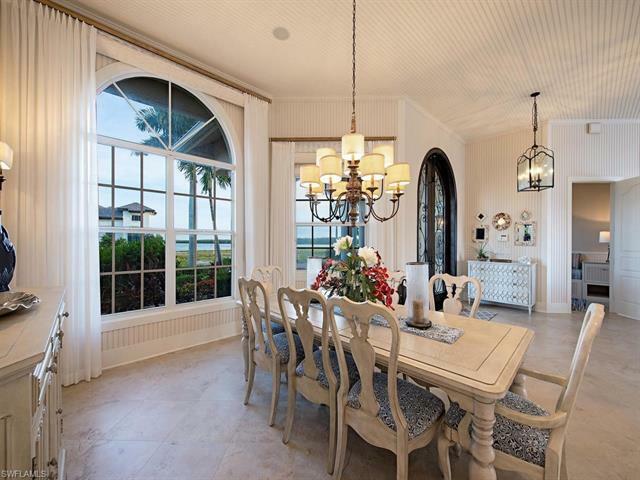 The kitchen, breakfast nook, and family room all overlook the stunning bay views. 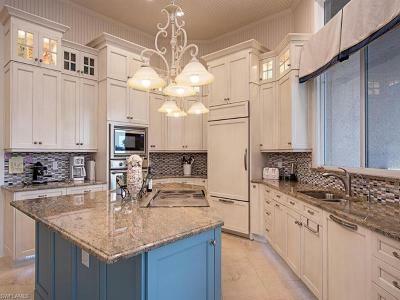 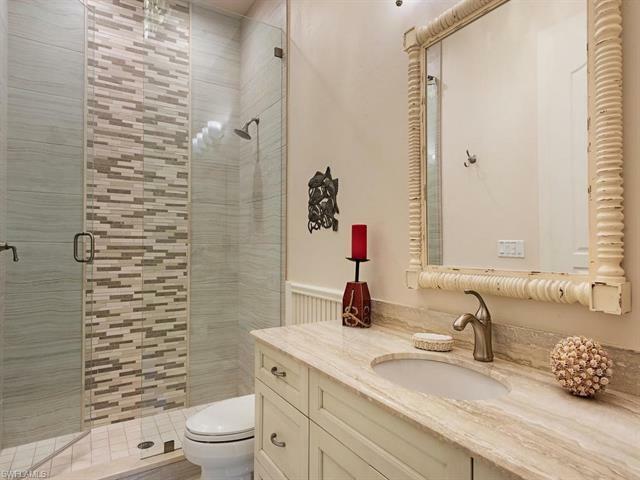 The gourmet kitchen offers glass tile back splash, granite counter tops, accent lighting, and high-end appliances. 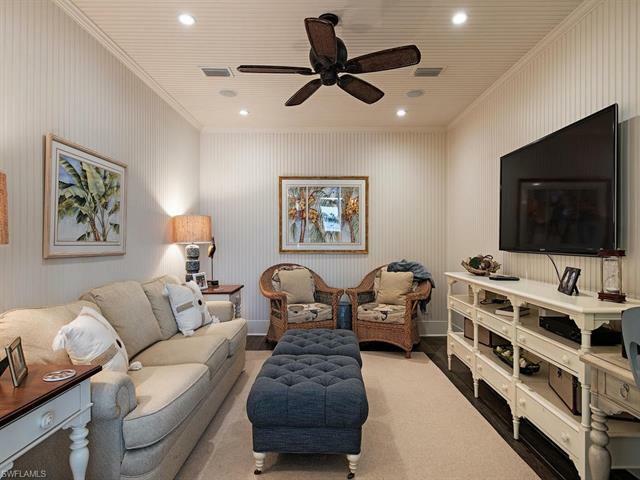 Enjoy entertainment in the theater room. 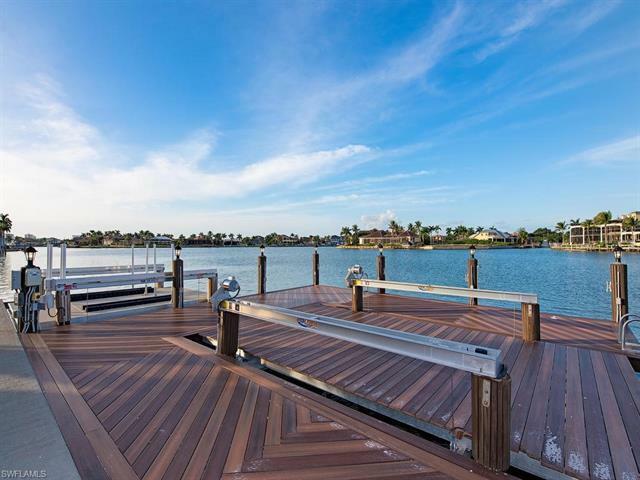 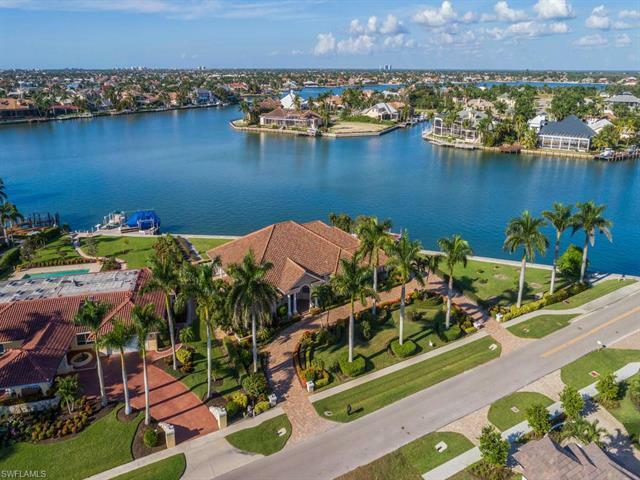 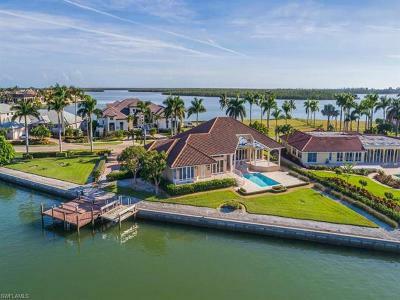 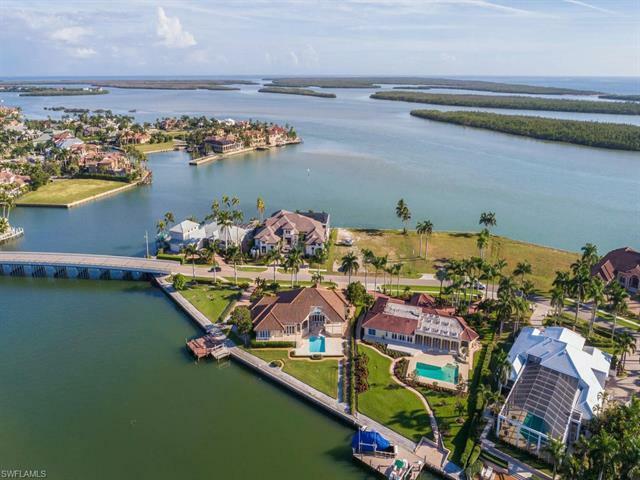 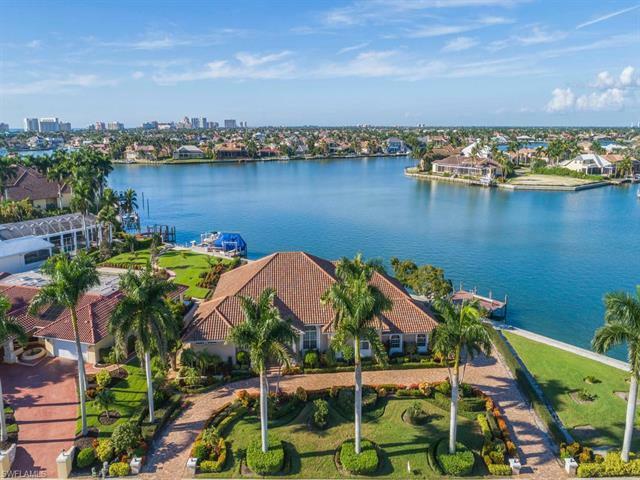 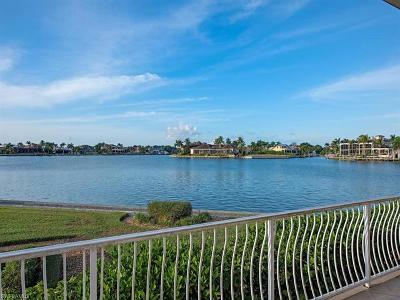 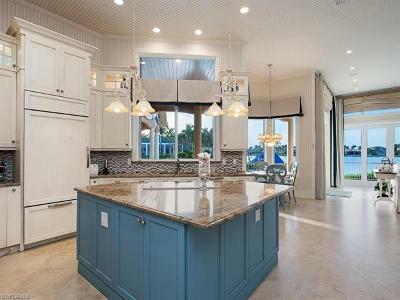 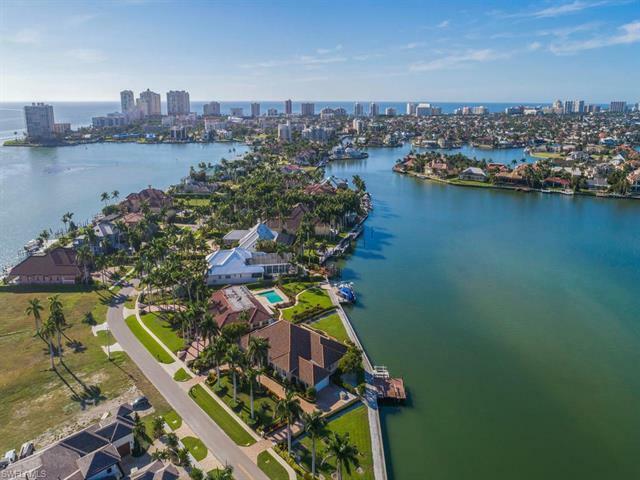 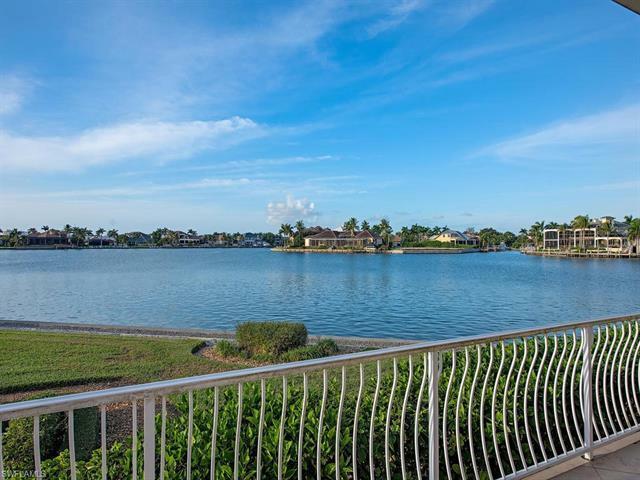 Donât miss your chance to own this boaters delight with over 350â of water frontage, located on one of Marco Islandâs most prestigious addresses, Caxambas Island!